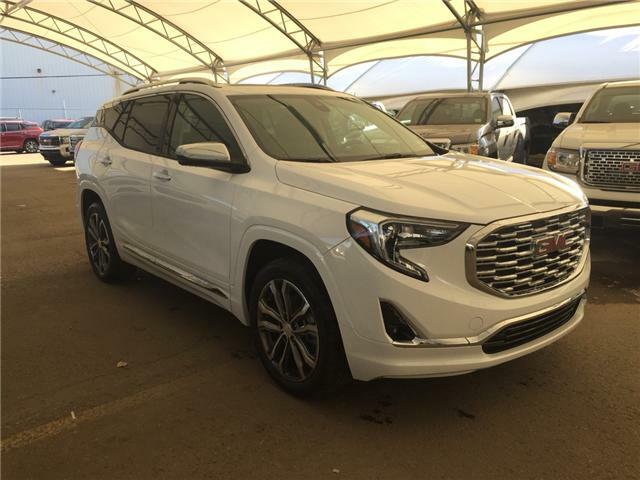 Our Davis Team is excited to share with you the all-new 2018 GMC Terrain! The long awaited new "industrial sculpture" design features a bold muscular hood, wraparound style windows, re-designed GMC grille, LED headlamps and tail lamps, a re-imagined centre console, and all the newest safety features additions available, including the 4 camera "bird's eye view" system. 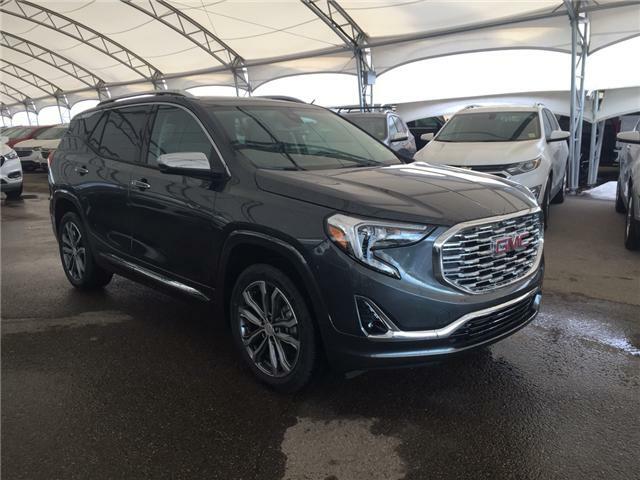 The all-new Terrain incorporates a number of bold, sculpture designs and lost five inches of overall length in comparison with the 2017. The hood features a chrome surround and three chrome louvers that help emphasize its overall sport nature. From the sides, a single sharp body line connects the headlights to the taillights. 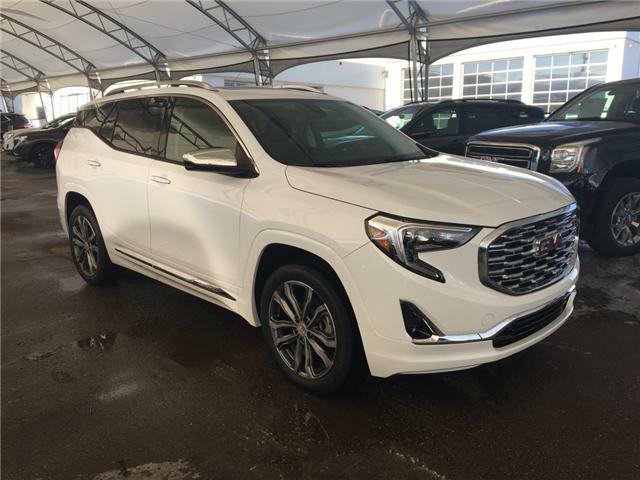 From its striking C-shaped LED signature lighting to its stunning floating roof, this small SUV has been refined on every level. Experience the next chapter of design for GMC, coming late summer 2017. 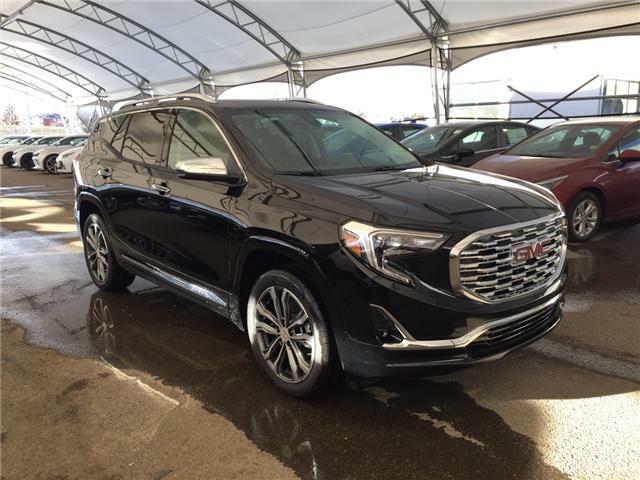 The all-new 2018 GMC Terrain’s interior picks up where the exterior leaves off with a design that is unforgettable in every detail, and features just as much change on the inside as it does the outside. 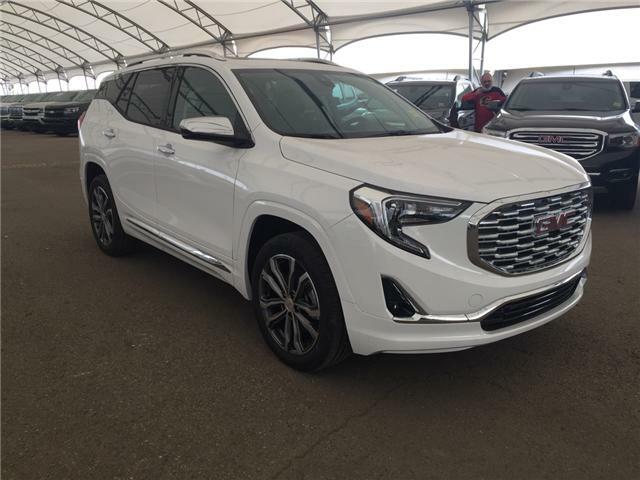 You’ll find a combination of bold styling, premium materials and first-class comfort, proving it’s as much about refinement as it is utility. The new generation dashboard design features an innovative dash layout that is flatter on top with a sharp drop-off on the passenger side. 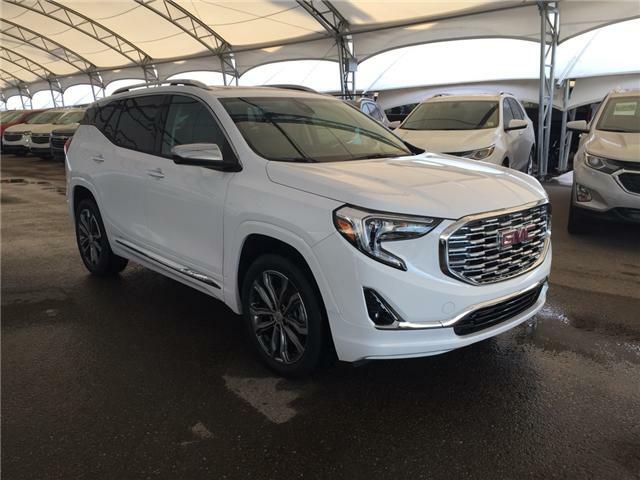 The all-new 2018 GMC Terrain small SUV gives you the choice between three new turbocharged engines which generate both power and efficiency. 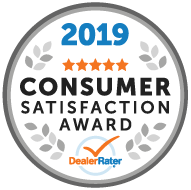 A standard Traction Select System allows you to choose how that efficient power is transferred to various road surfaces with up to four available drive modes that deliver increased traction and control. 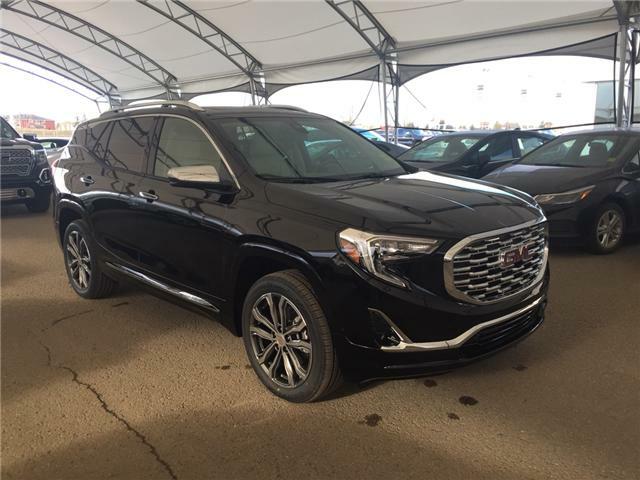 The all-new 2018 GMC Terrain offers both easy-to-use infotainment and a suite of advanced safety technologies. All models come with Apple CarPlayTM, Android AutoTM compatibility and an available 203 mm (8-in.) diagonal colour touch-screen provide a familiar interface; while available safety technologies like Surround Vision Camera and Low Speed Forward Automatic Braking help keep you aware and in control. 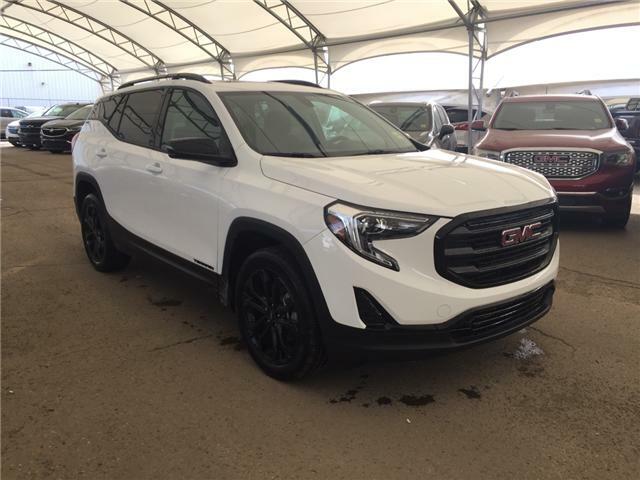 The perfect CUV for both Alberta city driving, and more rural outskirts. Four cameras provide a bird's-eye view of your vehicle so you can pull in and out of parking spots with confidence and ease.